Ultimately, this book aims at assembling wide-ranging contributions from different regions / contexts from case studies, reviews, outputs of research/studies, examples of successful projects, to theoretical and conceptual approaches, which will document current initiatives on healthy and sustainable cities/environments emphasizing mechanisms to climate change adaptation and to the achievement of sustainable development goals in a period of unprecedented global urbanization. Expressions of interest to contribute to the book, consisting of a 200 words abstract with all contact details from the authors, should be sent to editors (walter.leal@haw-hamburg.de, brandli@upf.br, ulisses@ua.pt, andreiasetti@gmail.com) preferably by 15th January 2017. Papers should be in English, up to 6.000 words including references, written in Times Roman 12 and single-spaced. The first draft of chapters is to reach the editors by 30th April 2017. Editorial comments, after Peer Review, will reach authors by 31th May 2017. Revised papers will need to be (re)submitted by 30th June 2017. Are Sustainability Policies Good Indicators of Universities Commitment to Sustainable Development? I have been invited to present as keynote on that question, at the opening of the “3rd World Symposium on Sustainable Development at Universities” (WSSD-U-201) at MIT, in Boston, this month. I will also be presenting a paper. Organised by the Office of Sustainability at the Massachusetts Institute of Technology (MIT), Manchester Metropolitan University, the Research and Transfer Centre ‘Applications of Life Sciences’ at Hamburg University of Applied Sciences, and in cooperation with the United National University initiative ‘Regional Centres of Expertise on Education for Sustainable Development’ (RCE), the 3rd World Symposium takes the theme ‘Designing Tomorrow‘s Campus: Resiliency, Vulnerability, and Adaptation’, with a view to contributing to further development in this fast-growing field. The conference builds on work that I have contributed to for over a decade; getting to present at MIT, after a fairly unusual career, is something that I had never imagined. It was exciting four years ago, to be involved in the “1st World Symposium on Sustainable Development at Universities” (WSSD-U-2012) in Rio (2012), as a member of the Scientific Committee and a presenter. That first conference was a parallel event to the UN Conference on Sustainable Development (UNCSD), also known as “Rio+20”. “The Future We Want” (an outcome of Rio+20), outlined many of the measures that countries across the world should pursue and implement to address unsustainable development. Universities have a critical role to play in bringing about change but are not always doing enough of the right things – something I have been banging the drum about, since 2005. I also contributed to the “2nd World Symposium on Sustainable Development at Universities” (WSSD-U-2014), which was held in Manchester, UK in September 2014. Various publications have resulted from these conferences. 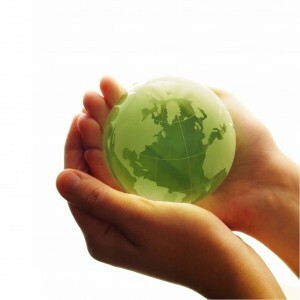 The Inter-University Sustainable Development Research Programme (which BU has signed up to) has also been established. The third conference in Boston will result in a set of books published by Springer, as part of their award-winning “World Sustainability Series”. My role in blind-review papers, finding reviewers, editing and responding to authors etc. has been challenging. 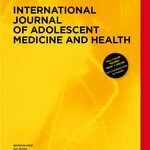 I am not a great fan of editorial work but I really have enjoyed communicating with academics across the world, about their research and sustainability projects. I am looking forward to meeting them in person when I get to Boston. And the answer to the topic…. well, it depends! But, at BU we are doing better than most – there is much further to go!! Could Bournemouth be a ‘Green Capital of Europe’? 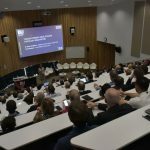 Our Festival of Learning event (27th June), in partnership with colleagues from Bournemouth Borough Council, will consider this question and explore a vision for developing green talent, sustainable business, and a sustainable city – a virtuous circle! We shall showcase the leadership role of BU, in relation to sustainable development (education, research, community) and particularly our work to achieve EcoCampus Platinum. We shall also feature the MSc Green Economy – a course which is producing exceptional post-grads who are engaging with amazing projects. Chris Shephard, Head of Economic Development & Sustainability at Bournemouth Borough Council will provide an update on activities, including the Compact of Mayors, the Earth Charter and work to take sustainability forward. We are already doing a lot locally (the Sustainable Food Partnership and Sustainable Fish City, for example) but are we doing enough of the right things? How do we capture and promote endeavours? Dr Simon Cripps will talk about natural capital in the context of development planning, both of infrastructure and building, but also of development and growth projects. Edmund Taylor, Environmental Barrister and Chair of the Sustainable Business Leadership Group (SBLG) will introduce the thinking that led to the formation of the group (we owe thanks to Lee Green), and suggest ways that others might engage. Synergies arise when business leaders work together to share practice and innovation; the group has already catalysed networking and learning. Following formal presentations, breakout sessions will consider how we build capacity, develop leadership for sustainable development and make a step-change in valuing and contributing to natural capital. Could we, for example report on natural capital in our Annual Reports? A valuable outcome from the event would be to have a clearer understanding of how we develop a greener economy and work towards branding ourselves as a Sustainable City – gaining the award ‘Green Capital of Europe’ at some point in the future, would be something to be proud of! I have recently returned from an Erasmus Training visit, at the Universidade Beira Interior, Portugal. Although most of the visit was in Covilhã, I had the opportunity to shadow my Portuguese colleague, in both Porto and Lisbon. Collaboration with academics at the receiving university has focused on issues related to: sustainable development; the factors that contribute to green behaviour and; ways to build capacity for sustainable development. This year we were considering environmental management initiatives and green behaviour but also, how the past may be preserved for the future and at the same time, contribute to economic development. During my week, I met with colleagues, explored the area and took a number of trips, noting environmental management practices. I visited the former Tuberculosis Sanatorium, which has been regenerated into a luxury hotel – an interesting project but despite the luxury, it still seemed too much like a building to be locked away in! 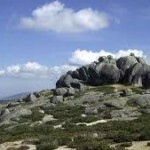 I also went for the first time, to Serra da Estrela Natural Park, which is situated in the largest mountain range in Portugal (the Serra da Estrela), and the source of the rivers Mondego, Zêzere (tributary of the Tagus), and Alva. The park is the largest natural conservation area in Portugal; more than half of its area is located above an altitude of 700 m. We went up to Torre, the highest peak and a ski resort; having climbed from 25 degrees and sunshine, the temperature drop at the top was noticeable, so we did not stay long. 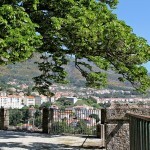 On the way back we stopped to view Cântaros and the location of the glacial valley of the Zêzere. It’s a landscape befitting a ‘Game of Thrones’. 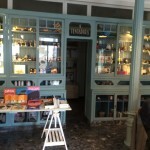 Visits to Beira Interior are always rewarding. I am astounded by the beauty of the region and the quality of life. I continue to be amazed that so few British people explore the area, yet some Canadians go there regularly. 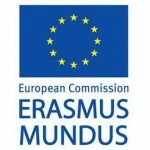 They also attract a lot of Erasmus students. The hotel, at 34 Euros a night was four star quality; a beer, a coffee and a bottle of water, totalled 1.60 Euros – I am left thinking that something is very wrong with our prices in the UK. With the exception of ‘ovos molhos’ (eggs in sugar, and not to my taste), the food is excellent and cheap. 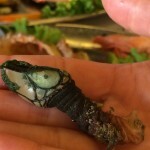 I tasted my first ‘gooseneck barnacle’ (see picture) – Pollicipes cornucopia – they look awful but are actually delicious! The Erasmus strand of Fusion provides a great opportunity to experience other cultures and try new things. Collaboration with European colleagues enhances personal competence, particularly language ability, and offers insights that can be applied in personal and professional practice, back in the UK. Although the focus of my visit was ‘training’, collaboration will lead to future research publications and professional practice. BU is a member of IUSDRP – an Inter-University Sustainable Development Research Programme. As part of that network, I am sharing with colleagues information in relation to publications and forthcoming events. You may be interested in participating further and/or submitting a paper to future conferences. As part of helping our students to make a difference to the world, BU has signed up to an NUS initiative called Dissertations for Good (DfG). The initiative connects students with external organisations who then work collaboratively to complete research projects into social, economic and environmental sustainability. The outcome is a piece of student work that contributes in a tangible way, a report that is useful for their partnered organisation and a project that forms their dissertation. DfG helps students to improve their communication, interpersonal, problem-solving and organisation skills, as well as developing their ability to use their initiative and self-motivate. It also provides valuable CV-enhancing experience of working in the outside world. All students looking to undertake a research project at BU can register at www.nus.org.uk/dfg and create a profile. 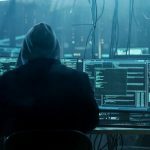 This allows them to search the organisations participating in DfG. They then request to be partnered with the organisation and organise a planning meeting. The student, their supervisor and a representative from the partner organisation meet to discuss the project and work together to make the project a success. Details will be circulated to students via the portal. We shall be monitoring and will seek to evaluate engagement. In the next few weeks I shall be sending out a call for case studies (its going to be a competition with prizes) to gather case studies of approaches used at BU to develop the knowledge, skills and competences to address the need for sustainable development. I shall be asking staff to illustrate how their teaching and learning is preparing learners to make a better job of sustaining the planet than previous generations (more details to follow). Fairtrade Fortnight is the 29 February – 13 March. ‘Sit down for Breakfast, stand up for farmers’. We shall be celebrating Fairtrade Fortnight at venues across campus but as part of being a Fairtrade University we commit to educating our students about how Fairtrade, as an alternative mechanism works to support those less fortunate and with less opportunity to participate in trading systems. Fairtrade is one aspect of BU’s work to be a sustainable university. Please contact me if you want to discuss ideas. I know it is a challenge to introduce Fairtrade in some subjects but if you can it would be really appreciated. Alternatively, perhaps you could consider holding an event in your Faculty/Department – a Fairtrade Breakfast perhaps? BU: A Fairtrade University – ten years in, up for an award and Fairtrade Fortnight on the horizon. In 2005, myself, Amanda Williams and Sarina Mann were passionate about Fairtrade. We set up BU’s first Fairtrade Steering Group (still going strong), Sarina and I wrote a booklet to explain the concept https://microsites.bournemouth.ac.uk/the-global-perspective/files/2015/04/GuidetoFairTrade-final.pdf , and then we worked hard to gain accreditation for BU from the Fairtrade Foundation – achieved in 2006. Ten years later, and I am delighted to say that we have retained our Fairtrade status throughout the period. The Steering Group meets each term (different membership but I have been constant). We have supported Bournemouth to become a Fairtrade Town and worked with Poole. We have delivered countless workshops. We are still running events. 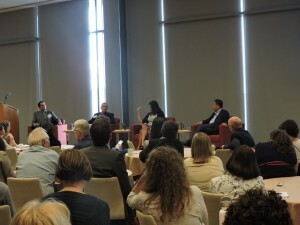 We continue to explore initiatives to educate others (collaborating with students, business, schools and faith groups). We continue to explain how Fairtrade, as an alternative, offers those in developing countries the opportunity to sustain themselves. Fairtrade continues to be an element of BU’s sustainable development work. 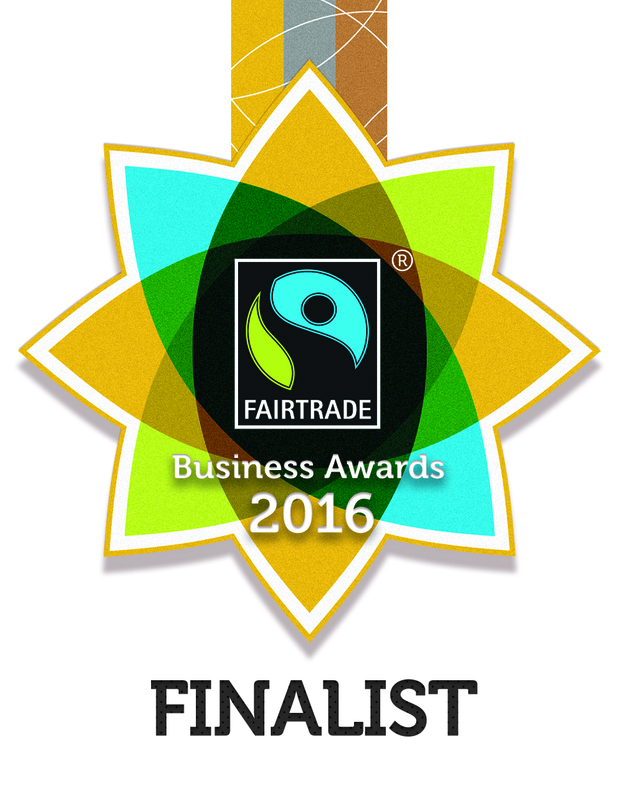 This year, we have entered the South West Fairtrade Business Awards and have been notified that we shall be a ‘finalist’. The Awards are free to enter for all sizes of business in the South West region. Entrants can win either a bronze, silver or gold level Award – so while we are not sure at this point what we shall get – fingers crossed! Irrespective of what we win, it promises to be fun. The Awards Ceremony in 2016 will be hosted by Liz Earle MBE – one of Britain’s leading business women. She is best known for her passion for botanical beauty, natural health and wellbeing, as well as for environmental and sustainable sourcing. One of her latest ventures is Liz Earle Fair and Fine Jewellery (100% certified Fairtrade). Later this year we shall also be holding further events to mark our ‘Ten years Fairtrade” celebration. Information will be forthcoming. We shall be celebrating Fairtrade Fortnight at venues across campus but we also need others to participate. Could you hold an event in your Faculty/Department – a Fairtrade Breakfast perhaps? Even better if you were able to introduce Fairtrade into your teaching during that two weeks – brilliant! 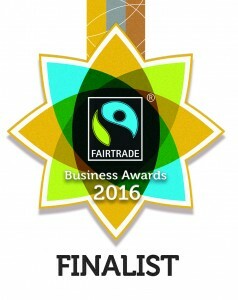 We should all be proud of BU’s Fairtrade commitment! As we move into an era where the emphasis on carbon reduction will come to the fore, we are sharing with you a brief summary of the Paris Agreement and the implications for Bournemouth University. This is an extract from a longer paper that includes the implications for Industrialised and Developing Nations as well as policy implications. Aplologies but it was just too long for a blog post. At Bournemouth we have achieved much to reduce carbon and to develop iniatives to secure more sustainabel development. In the light of the Paris Agreement, we need to do more in 2016! The main difference between this treaty and others that have gone before it is its scope. In particular, the draft lays out plans to limit temperature rises until at least 2050 – this is much longer term than has ever been agreed before. 187 countries have put forward plans to cut and curb carbon emissions to 2020, and beyond. Within the agreement, the targets are known as Intended National Determined Contributions (INDCs). All 187 countries have submitted their INDCs. Developed and developing countries are required to set targets to limit their emissions to levels which would see warming of 2°C, with an aspiration of limiting warming to 1.5°C. Vulnerable countries – like the Marshall Islands in Micronesia – pushed for a 1.5°C limit but the draft deal only promises to make it a target rather than a pledge. However, observers have calculated that all of the targets, if delivered, will not keep warming to 2°C but to 2.7°C above pre-industrial levels. Above this 2°C threshold, effects of climate change such as droughts, floods, heat waves and sea level rises are likely to become catastrophic and irreversible. Additionally, emissions targets are not legally binding and are determined by individual countries. However, it promises to hold countries to account if they fail to meet the targets they set out in their plans to reduce emissions during the 2020s. Countries are required to review and submit their emissions targets every five years with the “first global stocktake in 2023 and every five years subsequently”. The review process is to ensure that targets are in line with the latest scientific advice. This review process is legally binding. The agreement covers “loss and damage”: finance will be provided to poor nations to help them cut emissions and cope with the effects of extreme weather. The agreement makes some concessions to developing countries, acknowledging “urgent need to enhance the provision of finance, technology and capacity” and promote “universal access to sustainable energy” – particularly in Africa – with a focus on renewables. 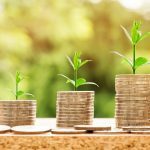 There will be a $100 billion fund from developed economies to help emerging and developing nations decarbonise their energy mix. Countries affected by climate-related disasters will gain urgent aid. The agreement also requires a limit on the emissions of greenhouse gases from human activity to the same levels that trees, soil and oceans can absorb naturally, beginning at some point between 2050 and 2100. In the aftermath of the Paris Agreement, it is more important than ever that BU makes a commitment to reduce its carbon emissions as much as possible, as quickly as possible. However, commitment alone is insufficient if it does not translate into effective action. The EU is one of the top greenhouse gas emitters accounting for 9% of global emissions. As a large organisation, we emitted 7,680 tonnes of carbon in 2014. 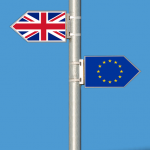 BU needs to play its part in helping the UK meet its reduction targets. With social and environmental responsibility at the heart of the BU ethos, we must take our role in curbing global warming seriously. BU2018 states: “We will consider corporate social responsibility as we develop policies and procedures across all relevant areas for example corporate governance, environmental management, stakeholder engagement, employee and community relations, social equity, and responsible procurement.” This is directly in line with the Paris Agreement, with regards to ensuring the poorest people in developing nations are protected from the worst effects of climate change. BU is committed to “ensuring we operate an affordable, sustainable and secure estate”. It is quite possible that in order to control UK greenhouse gas emissions, we will see higher energy prices and increased taxation on emissions in the future. From a financial standpoint, BU needs to do everything it possibly can to reduce its emissions as a business as usual scenario is likely to seeing spiralling costs over the coming years and reduce the competitiveness of the University as a whole. Embedding sustainability into the culture of BU will be important to secure further reductions; technological solutions alone will not suffice. BU aims to “ensure that graduates develop a global perspective and understand the need for sustainable development by seeking to embed sustainable development across the curriculum”. If sustainable development is more fully embedded within the curriculum and across the extra-curricular sphere the impact will be to reduce unsustainable behaviours (with reductions of carbon and utilities) but also BU graduates will be better prepared for an employability context where carbon reduction is a key focus. Thanks to Victoria Penson (for starting the paper) and Dr. Neil Smith for their contributions. Please contact me if you would like to read the other sections. 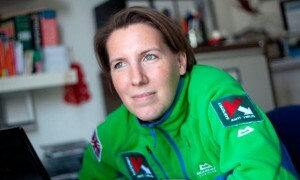 News from WAN: First woman to ski Antarctica; only person to do so on muscle power alone! WAN celebrated Christmas with a networking event, and an inspirational presentation from Felicity Aston, MBE. Felicity started her career as a Senior Meteorologist working with the British Antarctic Survey. 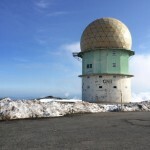 When she started in Antarctica (having completed her MSc), she knew that she would not be returning home for some time – she spent three summers and two winters at the station, as is typical for staff. Her love affair with a snowy landscape went from there…. In 2009, she was the team leader of the Kaspersky Commonwealth Antarctic Expedition. The team comprised women from six Commonwealth member countries and they skied to the South Pole to celebrate the 60th anniversary of the founding of the Commonwealth. However, most of her presentation was about the motivation and endurance required to complete her most extreme journey, crossing the Antarctic, by herself, using muscle power alone – an accomplishment that was truly astounding. She started by asking the audience: “When were you last actually alone?” This prompted the audience to think about how little time any of us spend completely by ourselves; who we are is very often a product of those around us. Would we want to experience ‘self’ in a period of long isolation? Could we do so without any other human reference points? What would be the cognitive dissonance? It was good to hear that Felicity is very human (rather than a super warrior) – once the intrepid achiever had been dropped off and her transport had departed the first thing that Felicity did, was to sit down on her sledge and cry! Being reduced to tears when a hurdle seems un-surmountable is a common experience for many; hearing that this courageous woman did likewise, was heartening. She experienced physical anxiety, including breathing difficulties, a raised pulse and actual shaking. But then she pulled herself together and just got on with it, although ‘getting on with it’, required more endurance than any of us can imagine! She was pulling her supplies in two sledges, weighing approx. 85kg, in temperatures of -22F (-30C), on a journey that would take 59 days, many of which were complete white-outs. She became anxious about losing kit, or things not working. Her broken lighter left her with just 46 matches to light her stove. She had panic attacks at times and had to focus on her breathing. Her mask to protect her from exposure froze like iron against her face each morning. She had to remember to break her food into postage-stamp sized peices to pass through the small gap in the mask during the day. She started thinking that “if you think something will go wrong, it probably will – so take action”. She spent ages one day, securing her one and only spade, as the thought of it falling off the top of her sledge without her notice, had occupied her thoughts. As days passed, it became harder and harder to motivate herself. The little voice inside her head would say “just stay in your tent another hour” but another voice would come up with incentives to continue: “if you get up and go, you can eat all your chocolate in one go.” In the end, common-sense prevailed and the over-arching ‘mantra’ became “just get out of the tent”. “Just get out of the tent” was a powerful message – once the first step is taken the next one follows. She spent Christmas and New Year alone. Eventually after so little visual stimulation, she started talking to the sun; eventually the sun spoke back. She then had hallucinatory episodes where she saw dismembered floating hands pointing the way, and a gnome-like man who rode off on a small dinosaur. She shared her photos, made jokes and laughed at herself. She spoke with frankness about her weaknesses, demonstrating true humility and lack of ego – something that is uncommon in male achievers. The audience were endeared to her! In conclusion, it now makes applying for promotion, submitting that publication, going for that award etc., seem like an easy step in comparison. So, as Felicity would suggest, “just get out of the tent” – achievement begins with that first easy step! Finally, big thank you to Sara who had organised the event but was off sick – get well soon and a very Happy Christmas, to our WAN community from your co-convenors – Heather, Chris and Sara. The Inter-University Sustainable Development Research Programme (IUSDRP) has recently been launched. Bournemouth University is a participating member. The scheme, announced at WSD-U-2014, is led by Manchester Metropolitan University (UK). IUSDRP is not yet another network but conceptualised as a systematic programme to pursue and publish research on sustainability. It meets a perceived need for a university-based set-up, focusing on research projects, scientific publications and PhD training on matters related to sustainable development. A new paper has just been published by: Chris Shiel, Walter Leal Filho Arminda Paco, Luciana Brandli (2016). Evaluating the Engagement of Universities in Capacity Building for Sustainable Development in Local Communities. Evaluation and Program Planning, 54 (2016) pp. 123-134. The paper reflects on the potential of universities to play a role in enabling communities to develop more sustainable ways of living and working, thereby addressing the paucity of studies that consider the evaluation of the work performed by universities in building capacity for sustainable development in local contexts. In order to achieve success in such initiatives, elements of programme planning and evaluation on the one hand, and capacity building on the other, are required. 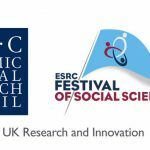 The assessment in this paper is based on evidence relating to community engagement activities obtained from a sample of universities in the United Kingdom, Germany, Portugal and Brazil. The extent to which capacity building in terms of sustainable development forms part of these initiatives is considered in depth, together with the different forms that this might take, as well as an evaluation of some of the benefits for local communities. The paper concludes by reinforcing that universities have a critical role to play in community development and that this role has to prioritise the sustainability agenda. As colleagues will be aware, I have been a passionate advocate of education for sustainability (EfS) and global citizenship. I have worked across the sector to support change, and within BU have contributed to such things as the People and Planet Green League, Eco-campus and many other iniatives to enhance our environmental credentials but also to ensure that through education, we prepare students to lead (and make a difference) in a context that is global but also has to be sustainable. We have more to achieve at BU in relation to the educative agenda, so in this regard I am sharing this work from Australian colleagues. I would not suggest that we need to impose standards but I would suggest that we might all consider how we could do more to ensure that the learning we provide enables our graduates to become better custodians of the world. Bournemouth University’s Women’s Academic Network (WAN) met at the Executive Business Centre to celebrate International Women’s Day (IWD) on 6 March 2015. It provided space for reflection on WAN’s next steps at BU and recognition about women’s progress since the early 20th century. Indeed, the first official day to recognise women’s contribution to society was held in 1910 in Copenhagen, and this was a precursor to gradual policy change across Europe to support women’s suffrage and the right to work. International Women’s Day, as we know it now, is a more recent development launched by the United Nations in 1975. 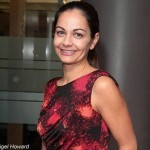 Our guest speaker for International Women’s Day was Siobhan Benita, Chief Policy and Strategy Officer, at Warwick University’s Department of Economics, and co-director of the Warwick Policy Lab. Prior to joining Warwick, Siobhan achieved significant results as a senior civil servant who also led gender balance and diversity policies across Whitehall. A quick Google of images when typing in the search terms ‘vice chancellor’, ‘FTSE chief executive’, ‘permanent secretary’, ‘MP’, or indeed, any major influential role in British society and the pictures that emerge are still overwhelmingly of middle-aged men clad in the classic grey business suit. Siobhan recollected that when she joined Civil Service Fast Stream 15 years ago, one of her team found an old letters file from the HR archive. It was from women begging to be reinstated to their Civil Service jobs after their fiancés had jilted them before their wedding day. The file was from 1973; at the time Home Civil Service rules stipulated that women resign from their posts if they intended to get married. Thirty years later, Siobhan has overseen changes that would have been unthinkable a decade earlier. Achieving greater diversity at all levels in the Civil Service has also ensured that policy design works better, because it reflects the fabric of the UK’s communities better. What made the difference was that Siobhan was given active support from the Cabinet Secretary and Head of the Civil Service, Sir Gus O’ Donnell, who also wanted to make equality and diversity a visible and measurable outcome in how the Civil Service operated. The class system was a particular challenge to overcome. Sir Gus made it a performance requirement for all Permanent Secretaries (CEO’s of government departments) to demonstrate that they had promoted suitably qualified and talented women and people from diverse backgrounds to senior roles. This also meant that every government department had to provide annual diversity league tables and facilitate women’s networks in the Civil Service. Fantastic women, who later were recognised for their excellent work, were promoted including the World Bank economist Nemat ‘Minouche’ Shafik, who became Permanent Secretary, DFID. It is one of the most demanding posts in government with its 24/7 response to global crises, yet Minouche negotiated a workday that allowed her to also manage her family responsibilities. By 2011, as a result of this culture change, gender balance was achieved in almost 50% of senior civil service posting, including some of the more traditionally challenging areas such as the Home Office, MOD and Health. 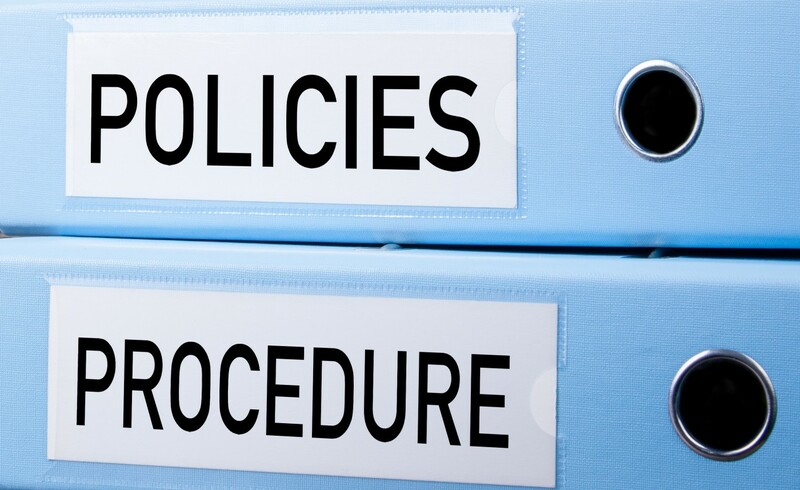 One of the philosophies behind the policy was that any targets set, needed to work at all levels of the organisation, not just the top. After stepping down from the Civil Service in 2012, Siobhan took a leap of faith and stood as an independent candidate during the Mayor for London elections opposite Boris Johnson. Her manifesto represented communities and young people. She received no funding and had no party machine behind her, yet still managed to achieve 250,000 votes, coming fifth, behind the Liberal Democrat candidate, Brian Paddick. This was quite an achievement, as at the time, it was almost impossible for an independent Mayoral candidate to achieve airtime at the BBC. 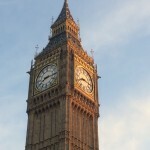 Siobhan campaigned with the BBC Trust to incorporate the Electoral Society rules in their decision-making on representation, as their campaign reports focused almost entirely on the Johnson/Livingstone/Paddick offer. As a result of Siobhan’s personal intervention, the rules have been changed to include independents. It didn’t also help that the press coverage for Siobhan’s campaign, even with solid briefings on policy, budget and planning were left out, while Siobhan’s role as a mother, her clothes, hairdo made up 90% of any feature. This made it very difficult for her to explain how her policies differed from the other candidates..
Siobhan culminated her presentation with her contention that BU’s WAN network should ensure that its objectives were visible and continually at the forefront of university decision-making. She praised WAN’s work at BU and urged everyone – men and women across the university, to keep plugging away to achieve change. Professor Tiantian Zhang, Head of the Graduate School at Bournemouth University, gave WAN members the latest update on BU’s Athena Swan submission to achieve equality in both science and academic research. Significant effort had gone into building evidence to support BU’s application and WAN’s contribution and objectives had made a significant difference to its Athena Swan application this time around; keeping up WAN’s visibility and impact would be important in the future. This led to facilitated table discussions from WAN members about its future goals and meetings. One of the suggestions to support BU achieving the Bronze Athena SWAN award was a campus to campus procession of BU academics in October, as it was a visible statement of progress. Several ideas for events were suggested, including joint meetings with WAN groups from other universities to share knowledge and best practice and taking forward the Action Learning Sets. A presentation to the BU Executive and academics from Sir Gus O’ Donnell might also be helpful in achieving a framework that could lead to some useful outcomes. I have participated twice as a member of the Scientific Committee in the WSSDU (World Symposium in Sustainable Development at Universities) Conferences, first in Rio (Rio+20) then last year in Manchester. These are led by my colleague Walter Leal Filho. Following the conferences academics from across the world particpate on a designated day to engage with education for sustainable development. These can be visited and used as a basis for lectures, to be held as part of the Teach-In Day on 26th March. In this context, a student group in Australia can discuss sustainability at Mexican universities, or a group of US students can debate about sustainability initiatives in Malaysia, using the presentations provided. They may also contact the named experts, who authored the presentations, to ask questions or seek further details. The 3rd World Sustainable Development Teach-In Day aims to unite the global sustainability community, and thousands of people can take part on it. As a truly global event, the Teach-In Day will cater for all time zones. The 25th March 2015 will be a very special day. A day devoted to sustainability. Please consider participation. Bournemouth & Poole Sustainable Food City Partnership achieve Sustainable Fish City Award – a great outcome from partnership working. It is now exciting to provide a further update – as part of the project Bournemouth and Poole have become the first towns in the world to achieve Sustainable Fish City status. Some of the most important caterers and restaurant locally have committed to serving only verifiably sustainable fish, impacting upon over 3.6 million fish meals a year throughout the towns. The campaign, run by the partnership, has been asking businesses and organisations across the two towns to make a pledge and commit to only using sustainably sourced fish in their menus. Institutions involved include nearly all primary schools, leisure centres, theatres, Bournemouth Pavilion, large workplace restaurants, Bournemouth University, all major hospitals and some of the most iconic and best-loved restaurants including the Highcliff Marriot Hotel and A.F.C. Bournemouth. 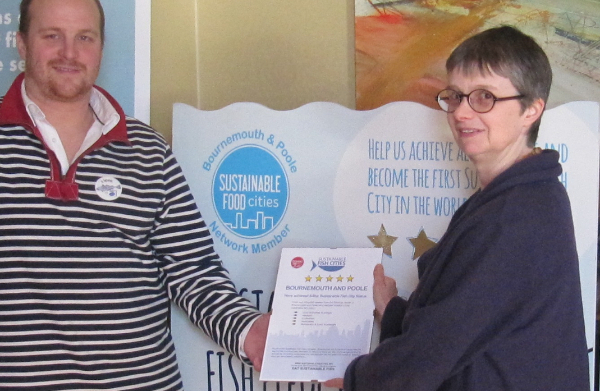 Despite hot competition from a number of other cities across the UK we are the first to receive the prestigious five star Sustainable Fish City award. It is a truly extraordinary achievement which will have a huge impact on the local and national supply chain for fish. Already we are seeing the impact of the campaign beyond Bournemouth and Poole – Harrison Catering Services, one of the UK’s top education and workplace caterers have recently taken the Fish Cities pledge on behalf of their UK-wide operation, and a major inspiration was the pledge of their Poole-based customer, the Jordans and Ryvita Company. Molly Scott Cato, South West Green MEP, presented the award to Matt Budden, the Executive Chef of the Highcliff Grill at the Marriott Hotel on behalf of Sustainable Fish Cities at her recent visit to the area. “We are absolutely delighted to crown the world’s first Sustainable Fish City in Bournemouth and Poole – this campaign began back in 2011, inspired by the sustainable fish on the menu at the London 2012 Olympics, and it has taken a lot of hard work to get here. I have been working in the area of educating global citizens who understand the need for sustainable development for almost fifteen years. As the Decade for Education for Sustainable Development (2004-2014) has drawn to a close, and we have seen a review of progress against the Millennium Development Goals (insufficient progress essentially), I have been watching with interest as the strategy for taking actions forward emerges. Essentially the MDGS will be replaced by the SDGs – will more sustainable development and social justice be achieved as a consequence? An international report which has just been released by the International Council for Science provides an expert commentary on the proposed 2015 Sustainable Development Goals. My colleague (Professor Stephen Sterling – aka the ‘Godfather’ of ESD) was asked to write the section on Goal 4 and its associated targets. He has warned that the proposed Goal and targets are strong on access to education but weak in terms of viewing education and learning as a key part of engaging and helping address the 16 other SDGs. The report will now be used as part of the UN backed process of refining the SDGs before they are agreed and launched later this year. If we are to prepare BU graduates who are able to make a significant contribution to the world, it seems valuable to keep abreast of such developments. How well are we enabling our students to work towards sustainable development and a better world? How might we do that better? During 2013/14 I have been involved in project work led by the Higher Education Academy, on internationalisation. A ‘learning and teaching summit’ of approximately 30 UK and international experts, held in 2013, provided the outline for the project and worked towards the development of an internationalisation framework; subsequent consultation across the sector resulted in refinements. 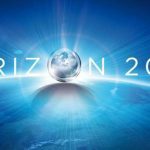 The outcome is ‘The Internationalisation higher education framework’ which was launched at the HEA’s Annual Conference, ‘Preparing for learning futures: the next ten years’, at Aston University. The framework is available on the HEA’s website and is worthy of reflection. We might at this point consider: what else we could do to internationalise the curriculum at BU? How should we prepare learners of all nationalities to contribute to a better global future? Does the curriculum and experience we provide enable all learners to make a difference to the world? I think we do need to adapt our approaches for international students but we also need to be aware that diversity goes beyond being ‘foreign’. The aim has to be to develop (and deliver) an inclusive curriculum, where diversity is addressed in the widest sense – but this is a challenge. Perhaps the ‘inclusive curriculum’ work currently being taken forward by CEL, may go some way to developing new ideas. If you would like to discuss any aspects of ‘internationalisation’ and learning and teaching please feel free to contact me. 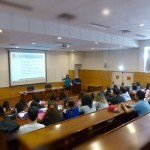 I have just returned from an ERASMUS training visit (to share and develop approaches for sustainable development) at the University of Beira Interior (UBI), Covilhã, Portugal. Such a rewarding experience! Located on the slopes of Serra da Estrela, Covilhã looks out on a fertile valley, framed by mountains – a beautiful location, largely unfamiliar to people from the UK. The city was once regarded as the ‘Portuguese Manchester’ for its long tradition in the wool industry and textile production, however like other textile towns production ceased, people moved away, and the social and economic consequences for the region were immense. The University has brought new life to the area and is working towards enhancing the sustainability of the region. 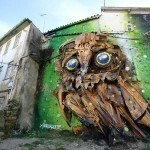 One of the most interesting characteristics of UBI is its focus on recovering the abandoned buildings that were formally part of the industrial production process and creating a better environment; retaining historical, cultural and architectural value, while developing sustainable educational facilities has been an important goal. During my trip I had the opportunity to visit the various sites, give presentations and meet with colleagues. The University has five Faculties (Science, Engineering, Human & Social Sciences, Arts & Letters, and Health Sciences). Particularly interesting was the tour of the University Wool Museum which is integrated into the science building, and reveals the archaeological structures of the early production process, sets out the historical development of technology, and provides insights on industrialisation. I came away from the tour, thinking of the various ways that this facility could be used to enhance learning for students on any course, not just those interested in science and technology. The motto of the museum “The Threads of the past weaving the future” left me thinking that when we focus on sustainable development, we often emphasise ‘future generations’ but we must also acknowledge and learn from the past. 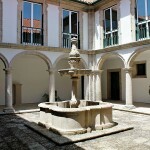 My visit to the Rectory (housed in the former Convent of Santo António and their equivalent of OVC) also left me thinking. Firstly, they have made a fantastic job of restoration and conversion; they really could do with some students (as motivated as BU students) to reclaim the lovely terraces. Olive and fruit trees are largely over-grown; the space cries out to be developed as a sustainable garden. Secondly, they have made great use of space in the former chapel, however where the choir would formerly have sat, is now where doctoral candidates are judged – the jury type seating made it seem a really intimidating space compared to a room in Christchurch House, to defend a Thesis. And lastly, if I was a member of the senior team in such an idyllic spot, I would probably not be able to resist the urge to get out a hoe and create a vegetable plot – however the urge to just sit in the sun and admire the view, would also be strong! It is always interesting to meet new colleagues, learn from their perspectives, and to talk with students. The students I presented to during my visit (on Sustentabilidade nas Universidades) were very impressed with what we are doing in the UK, and at BU, to address sustainability. They had lots of questions; later their tutor reported that not only were they were interested to know more but were also challenging her as to why BU students seemed to have a better experience. Some were very keen to come to Bournemouth. Overall, I came away feeling enriched and with new perspectives. I would recommend an ERASMUS visit to others. Okay the paperwork can seem bureaucratic at first glance but don’t be put off, the rewards are high. I have published four co-authored papers as a result of my first ERASMUS visit; more collaborative outputs will follow. Further, the opportunity to develop broader cultural perspectives on research interests, enhance your language capability and to evaluate how higher education operates in another country is personally and professionally rewarding. If you would like to make contacts at UBI please get in touch. I would be happy to help.